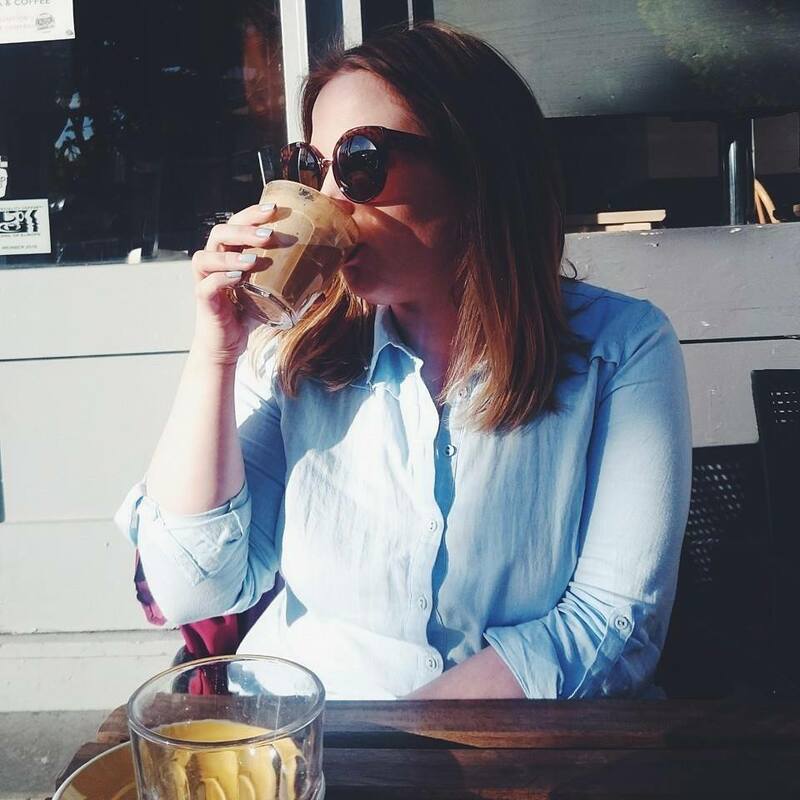 It was day two of my spending ban when I received an email containing my MAC newsletter announcing that MAC By Request had gone live on their website. I sat there for an hour um-ing and ah-ing about what to do when my boyfriend said that I could have one. I will just get it out there that he doesn't control what I spend but he knew I was on a spending ban and was trying to be supportive but as soon as he said "go on then" I was a crazy woman unleashed. In the basket Pink Poodle went along with another to top it up to free delivery. I have serious issues, I know. 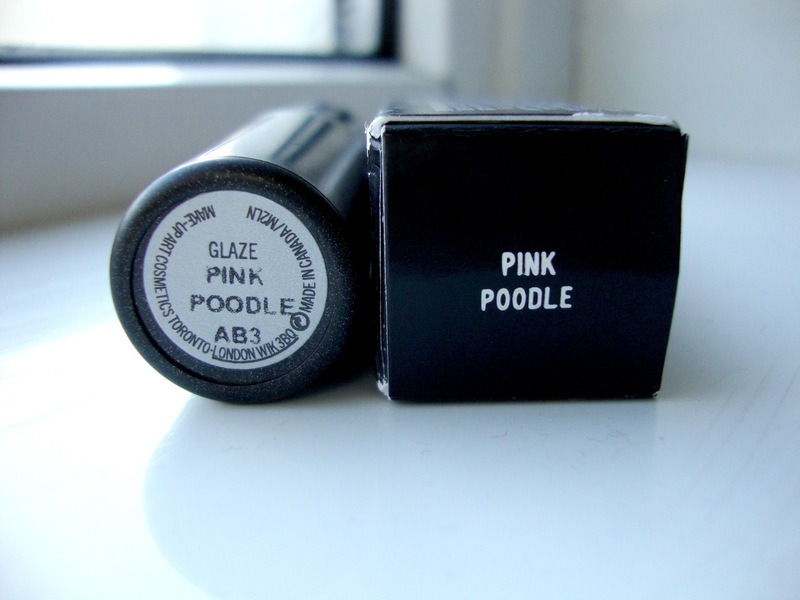 Pink Poodle was the shade that got the most votes in the By Request polls with a massive 391,741 votes but strangely the only one that hasn't sold out. It's described as a 'Vivid, bright fuchsia pink" and comes in a Glaze finish. On the website it's listed as a Frost finish which I'm not that familiar with but I loved the colour so when it arrived in a Glaze finish I was a bit confused. What's going on MAC? I'm a big Matte fan, Why I didn't get Hoop or Glam I don't know.. maybe I wanted to be different. Do I regret it a little? Only slightly. 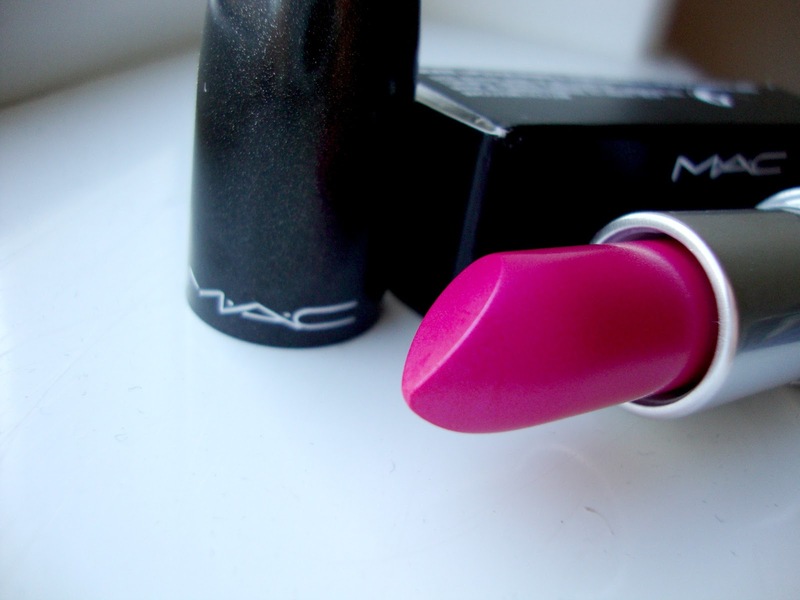 Pink Poodle is a gorgeous deep pink with what I think is a slight iridescent purple tone to it. It glides on to the lip and leaves a gorgeous, vibrant colour. It's really buildable too. You need a few strokes to get a really striking lip colour but just one stroke leaves a subtle burst of colour to your lips. I thought this was really similar to Girl About Town which I picked up in March. For someone that doesn't like pink I'm starting to get quite the collection. I had 3-4 hours wear time with Pink Poodle which I think was pretty good, I assumed a Glaze finish would wear away quite quickly. Since buying this I've worn it a few times and find it quite moisturising on my lips, it's definitely one for the Summer months so I need to get my tan on soon. 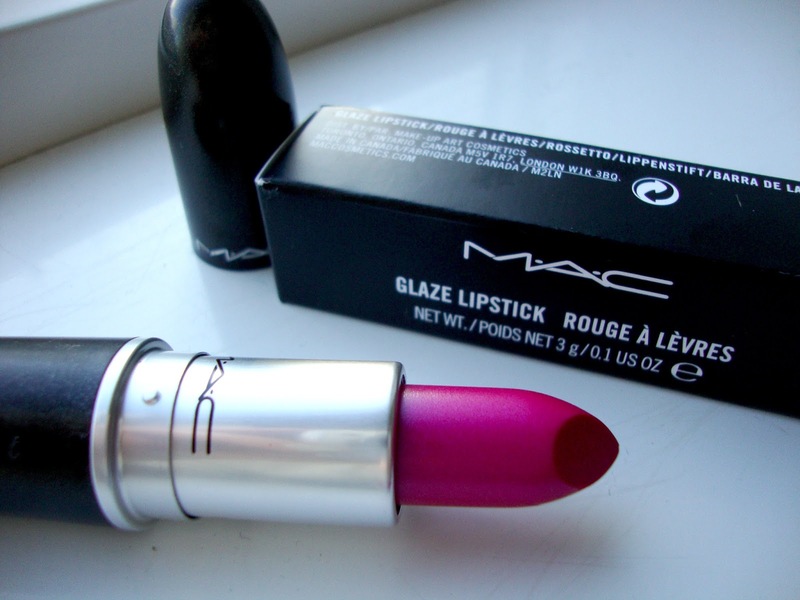 It's very pretty to look at and reminds me of a Christian Dior lipstick my mum use to wear when I was younger. I think I love it that bit more because of that reason. Did you pick up Pink Poodle too? I'd love to know your thoughts on it. That is such a beautiful colour, I'm sure it will look great on you! 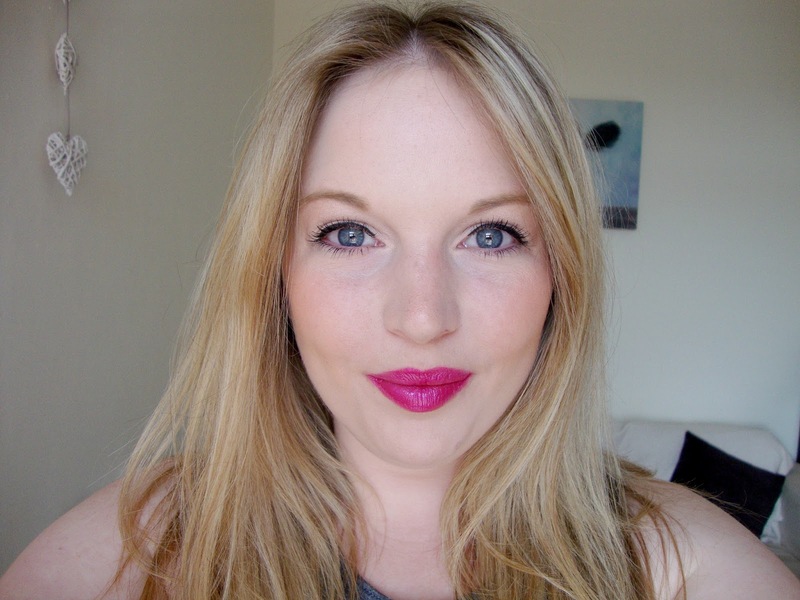 I am so scared of brighter lip colours, don't think I could pull them off like you do! I usually just stick to my comfort zone of nudey-pinks!